Recycling services are provided for the following items at our drop off locations in Mifflintown, McAlisterville or in Perry and Juniata Counties with our Recycle Buy a Bag. The Mifflintown Recycling Center is now open Wednesday from 12:00pm - 6:00pm and Saturdays from 8:am - 12:00 noon. Only the Recycling Buy a Bags may be dropped off after hours at both locations. Aluminum foil, food & beverage containers. 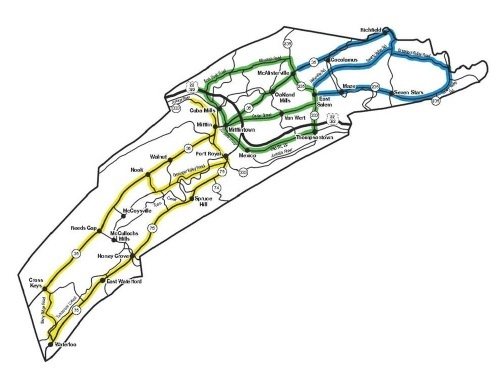 Perry County Route - Yellow route picks up on Monday, Pink route picks up on Tuesday, and Blue route picks up on Wednesday, including Newport Borough. 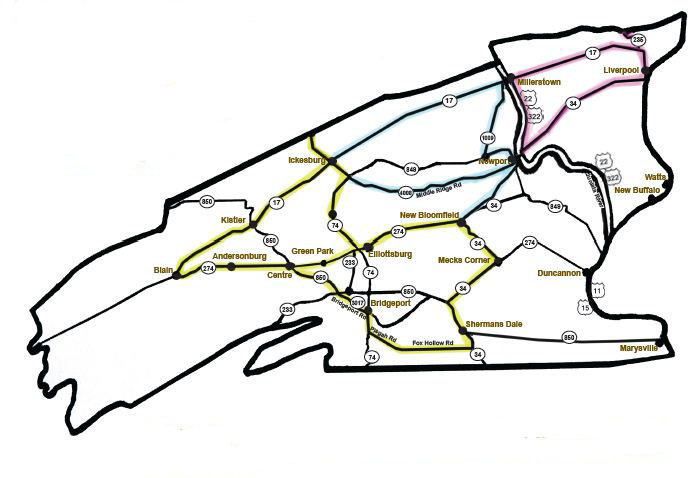 Juniata County Route - Blue route picks up on Tuesday, Yellow route picks up on Wednesday, and Green route picks up on Thursday. Click HERE to find out where to purchase your Recycle Buy a Bag and start making a difference today!